For Specific Information about each of our own seasonal shows click the holiday icons above. 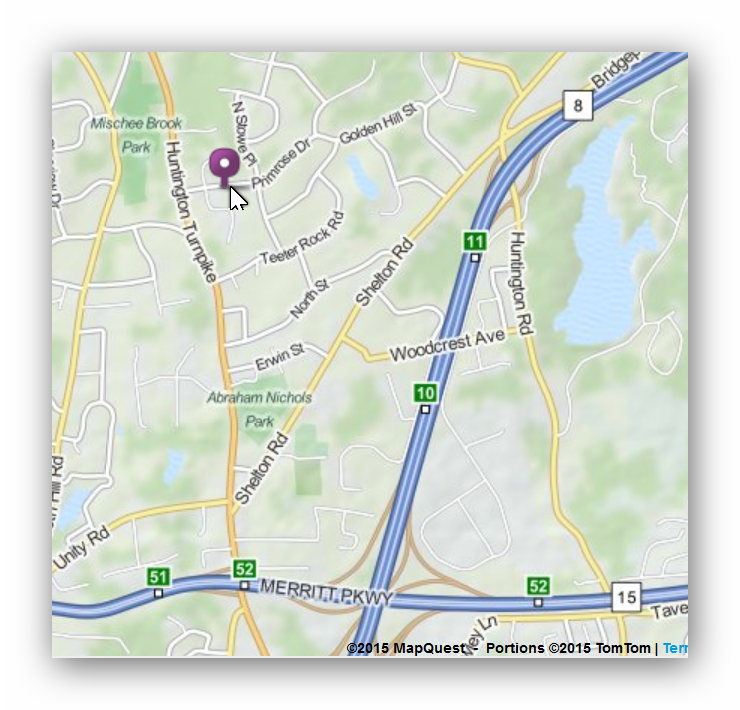 Our Neighbor Reports: "The car stopped for quite a long time to view the Christmas lights across the street and then my attention was riveted when the driver, a young women, got out of the car with her toddler in tow, and walked toward the display. Was she going to steal something I wondered? She trudged through the snow toward the creche and paused. The toddler reached out a hand toward the center of the creche and I heard, "Yes, That is the baby Jesus." Last year we added a narration from the Bible about the true meaning of Christmas and also added most of the individual characters in that magnificent story! Last year we added the angel winging her way through the heavens above our house. As you watch our twinkling pine trees, wisemen, a singing santa, a nativity scene and a star above the stable, we hope that you may also touch Jesus and that He will touch you with the true meaning of this holy season. 2015-2016 Display Schedule: December 1 - January 3 from dusk to 11pm - 7 days a week. Nativity story plays every 15 minutes. 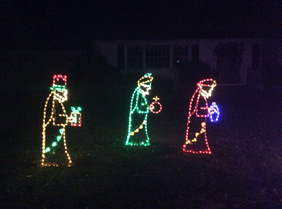 The Magi (/ˈmædʒaɪ/ or /ˈmeɪdʒaɪ/; Greek: μάγοι, magoi), also referred to as the Wise Men or Kings were, in the Gospel of Matthew and Christian tradition, a group of distinguished foreigners who visited Jesus after his birth, bearing gifts of gold, frankincense and myrrh. They are regular figures in traditional accounts of the nativity celebrations of Christmas and are an important part of Christian tradition. According to Matthew, they came "from the east" to worship the "king of the Jews".Although the account does not mention the number of people "they" or "the Magi" refers to, the three gifts has led to the widespread assumption that there were three men. In Eastern Christianity, especially the Syriac churches, the Magi often number twelve. Their identification as kings in later Christian writings is probably linked to Psalms 72:11, "May all kings fall down before him". A stable is a building in which livestock, especially horses, are kept. A manger, or trough, is a feeder that is made of carved stone, wood, or metal construction and is used to hold food for animals (as in a stable). Mangers are mostly used in livestock raising. 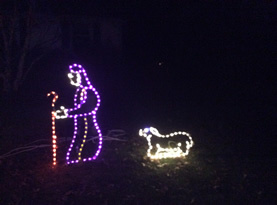 A manger is also a Christian symbol, associated with nativity scenes where Mary, forced by necessity to stay in a stable instead of an inn, placed the baby Jesus in a manger (Greek: φατνη phatnē; Luke 2:7). In 2014 the Nativity scene that was the centerpiece of our display was upgraded to show each individual character. That allowed us to tell the story of Jesus birth by illuminating characters while we read the account in Luke and Matthew. A shepherd /ˈʃɛpərd/, or sheepherder, is a person who tends, herds, feeds, or guards herds of sheep. The word stems from an amalgam of sheep herder. Shepherds are popular biblical characters including the popular Psalm 23 "The Lord is my Shepherd. I shall not want". But probably the most famous shepherds in scripture are those who were tending sheep near Bethlehem witnessing the proclamation by many angels (heavenly host) about the good news of Jesus' birth. For Christians their key part in the story establishes without a doubt that Jesus came for all people - commoners and kings. Amazing Grace - A Rock version of a Christian hymn with words written by the English poet and clergyman John Newton (1725–1807), published in 1779. With the message that forgiveness and redemption are possible regardless of sins committed and that the soul can be delivered from despair through the mercy of God, "Amazing Grace" is one of the most recognizable songs in the English-speaking world. Glory to the Newborn King - The herald angels sing,"Glory to the newborn King;Peace on earth, and mercy mild,God and sinners reconciled!" Join the triumph of the skies. 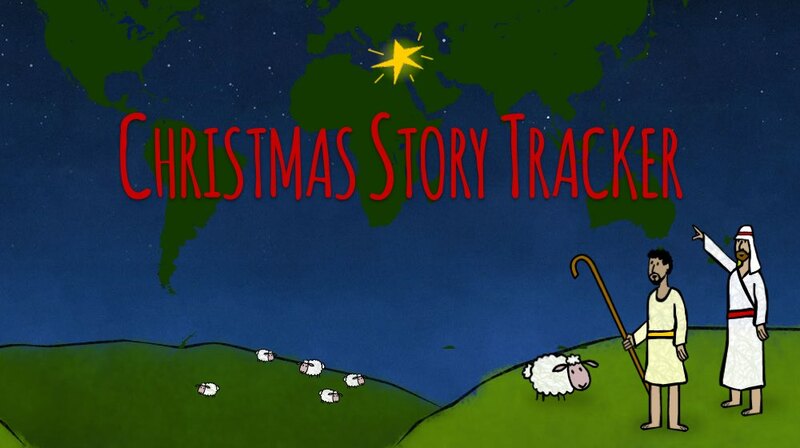 The Christmas Story - NEW IN 2014! A narration with music and animation based on the books of Luke and Matthew (KJV), in about 6 minutes, we tell the true story of why we celebrate this most sacred holiday. Narrator, animator and music arranger is Jim Lang. Music Box Dancer - an instrumental piece by Canadian musician Frank Mills that was an international hit in the late 1970s. It features a piano theme that is accompanied by other instrumentation, designed to resemble a music box. O Holy Night - ("Cantique de Noël") is a well-known Christmas carol composed by Adolphe Adam in 1847 to the French poem "Minuit, chrétiens" (Midnight, Christians) by a wine merchant and poet, Placide Cappeau (1808–1877). The Chipmunk Song (Christmas Don't Be Late) - is a song written by Ross Bagdasarian, Sr. (a.k.a. David Seville) in 1958. Although it was written and sung by Bagdasarian (in the form of a high-pitched chipmunk voice), the singing credits are given to The Chipmunks, a fictitious singing group consisting of three chipmunks by the names of Alvin, Simon and Theodore. The song won three Grammy Awards in 1958: Best Comedy Performance, Best Children's Recording, and Best Engineered Record (non-classical). The First Noel - a traditional classical English carol, most likely from the 18th century, although possibly earlier. 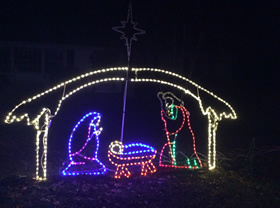 We Three Kings - a Christmas carol that was written by John Henry Hopkins, Jr., An interesting bit of trivia has to do with the number of kings (wisemen) who visited Jesus. Scripture says nothing about the number of Magi; but tradition, perhaps inspired by an early painting, claims there were three. YouVersion See where people from all over the globe are reading about Christmas. Each time someone looks up a verse about Jesus’ birth in the Bible App, a star lights up in their area of the world. A counter displays how many times passages about Christmas have been read since December 1. If you have a question or comment about our shows please contact us.